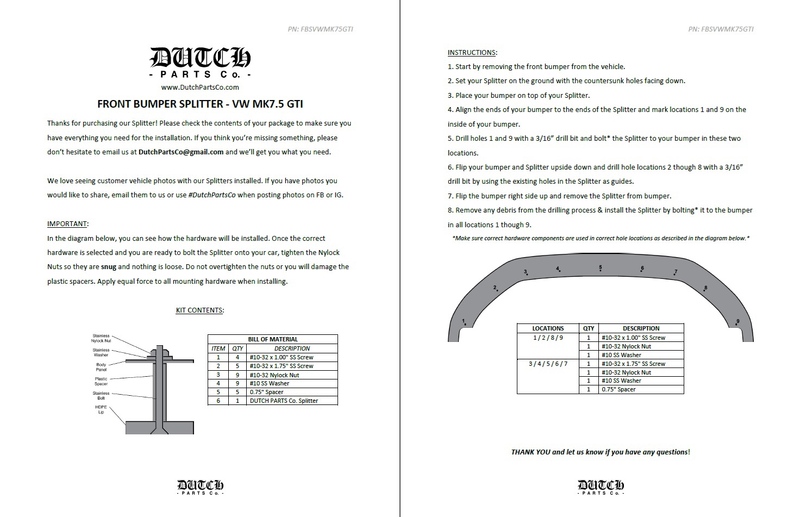 VW MK7.5 GTI FRONT BUMPER SPLITTER | DUTCH PARTS Co. This Splitter includes cutouts on both ends so the bumper & all undercarriage fasteners can be removed without having to separate the Splitter from the bumper for access. - VW MK7.5 GTI "Rabbit Edition"